Phil Gordon was born in Texas and graduated with a degree in computer science from Georgia Tech in 1991. His first experience with poker was when he played with his aunt and sister during his childhood. After graduation, Phil worked for two years with Lockheed and then joined Netsys Technologies, Inc. He was their lead software engineer and first employee so when the company was bought over by Cisco Systems in 1996 for $95 million, Gordon became a millionaire. From then on he retired from the high-tech industry and started a world of round the world travelling and playing poker. His journey took him to countries like South America, Uganda and Australia, a trip with a lot of adventures. His first real encounter in the poker community was during the 2001 World Series of Poker championship main event when he placed fourth for $400,000. Then he had two WSOP final table finishes – 6th in Pot-Limit Hold’em and 3rd in Omaha Eight-or-Better in 2002. He also won the professional division of the first UltimateBet Aruba tournament, but then lost the championship to the amateur division’s winner, Juha Helppi. This triggered UltimateBet.com to invite him to play in the World Poker Tour’s first tournament in Aruba. Gordon joined in and won over seven of the world’s top players to win the $250,000 as first place prize. In March 2004 Gordon won the World Poker Tour’s Bay 101 Shooting Stars tournament for $360,000 in prize money. He finished 3rd at the 2005 WSOP during the $1,500 No Limit Texas hold ‘em Shootout event and in 2006, Gordon won the Full Tilt Poker Poker Championship at Red Rock. He won over 5 other poker pros and finished string by defeating Roland De Wolfe in a heads-up to win $600,000. At the 2006 WSOP, he then won over Scotty Nguyen and 2006 WSOP Main Event champion Jamie Gold to advance. At the 2007 NBC National Heads-Up Poker Championship tournament, he finished in the final 16 and earned $25,000. 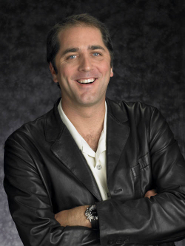 Phil was the analyst for Binion Horseshoe’s live Internet broadcast of the championship event of the 2003 WSOP. He contributed by giving daily reports on Sporting News Radio’s Murray during the Morning show. Then at Bay 101 Phil and his group of friends, known as the “Tiltboys” became the “Tiltgirls” dressed up as women for the ladies-only poker event. Phil became Phyllis turning up at the event in a dress, makeup and even stockings. The crowd enjoyed the show and definitely had a good night. Similar anecdotes happened during the Cigar Aficionado, National Public Radio’s “This American Life,” Smithsonian Magazine, CNBC’s “Squawk Box,” Card Player Magazine and “Blind Date!” Gordon also hosted the television show “Celebrity Poker Showdown”. He helped raise money for cancer research through the “The Bad Beat on Cancer” initiative, dedicating his cancer charity to his aunt who had first taught him the game of poker and who then died of liver cancer. He carried out fundraising as a Board Member of the Cancer Research and Prevention Foundation, a charity he has supported. He also raised funds by selling a tip booklet he wrote for Celebrity Poker Showdown contestants; the “Bad Beat on Cancer” initiative at the 2003 World Series of Poker; setting up a $200 entry Roshambo tournament at the 2005 World Series of Poker. He also donated all profits to the charity and hosted a celebrity poker tournament one day prior to Super Bowl XXXVIII in Houston, and donating private lessons and autographed books. He is well known for his commentary on poker broadcasts, mostly after his seven seasons as a commentator on Bravo’s Celebrity Poker Showdown. He provided commentary for ESPN’s live pay per view broadcast The Pro-Am Poker Equalizer.of the final table of the World Series of Poker main event championship for two successive years. Phil Gordon also wrote three books on poker, including Poker: The Real Deal, Phil Gordon’s Little Green Book: Lessons and Teachings in No Limit Hold ‘em, and Phil Gordon’s Little Blue Book: More Lessons and Hand Analysis in No Limit Hold ‘em and has released an award winning instructional DVD, Expert Insight: Final Table Poker. He appeared in the 2008 film The Grand. Directed by Zak Penn, the film was a fun documentary where Phil played himself and had a relatively major role as the color commentator of the televised tournament. Phil Gordon is just 39 years of age but has accomplished so much. Millionaire at just 26 years, he progressed into becoming a poker professional. His total live tournament winnings exceed $1,700,000 and we might hear more of him during the WSOP, maybe winning a bracelet as he has not done that as yet. He did however win a total of $660,555 at the World Series of Poker so far. Very good written information. It will be helpful to anybody who utilizes it, as well as myself. Keep up the good work — looking forward to more posts.